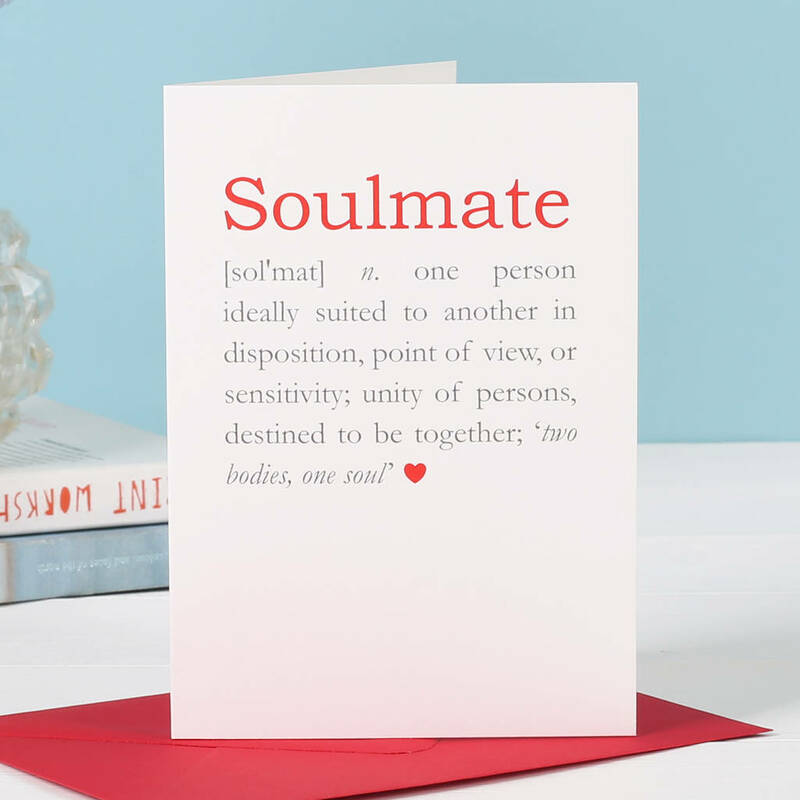 Typographic card defining the word 'Soulmate' a perfect Valentine's day card, engagement or anniversary card for a couple. Personalised with your own message inside. 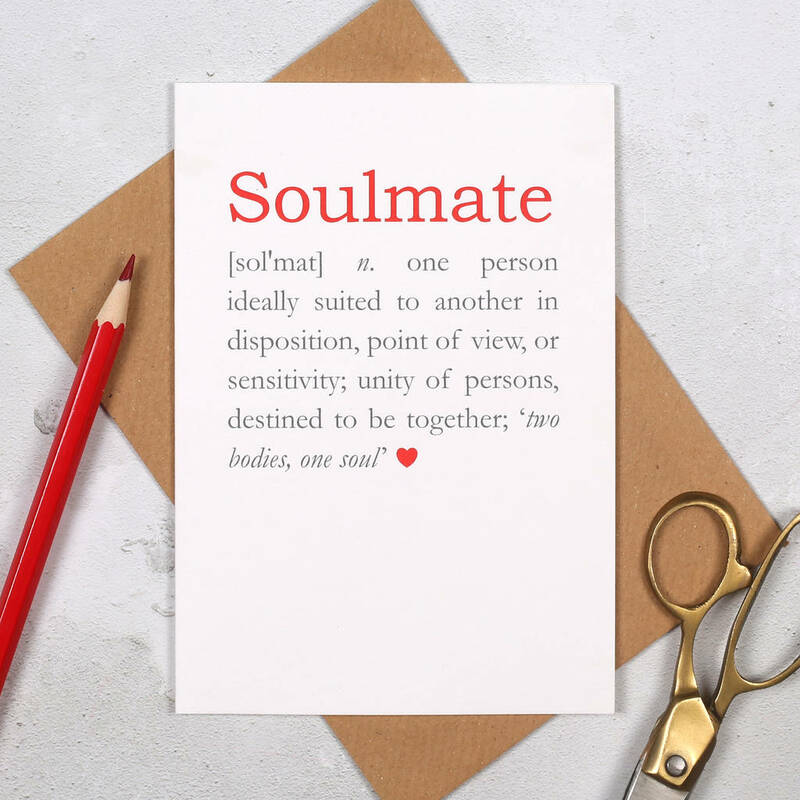 SOULMATE - One person, ideally suited to another in disposition, point of view, or sensitivity; unity of persons, destined to be together; 'two bodies, one soul'. A simple typographic card for that special person for an engagement, anniversary or a wedding card. Supplied with a vivid red envelope. Comes blank inside for you to extend your own message of love! 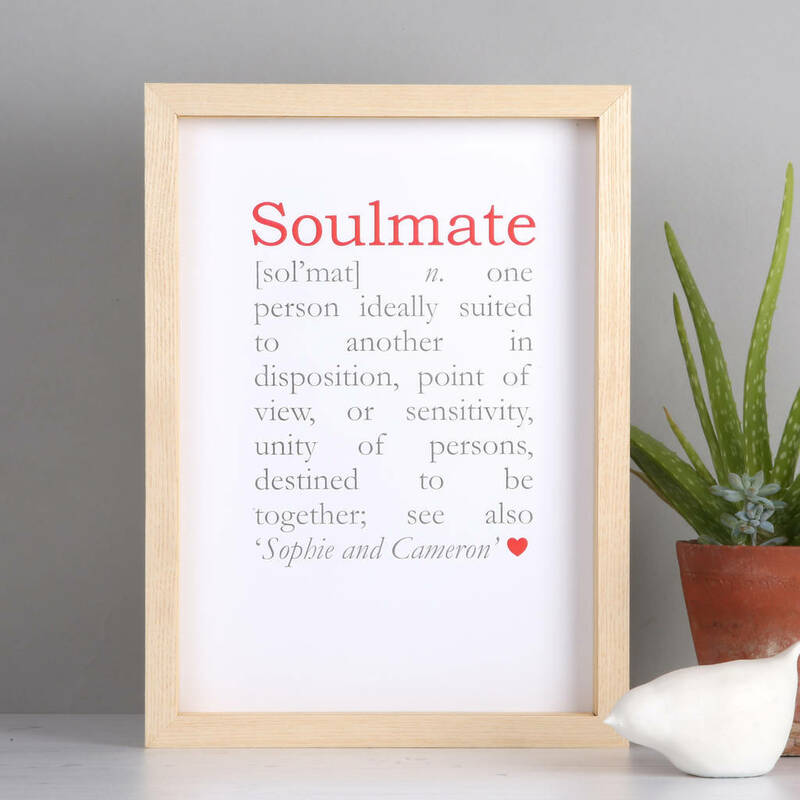 Or why not choose a a4 print instead which makes a great gift for a loved one.